Hello Darlings, After a long day of filming on new docu-series called Celebrity Style Story for E! 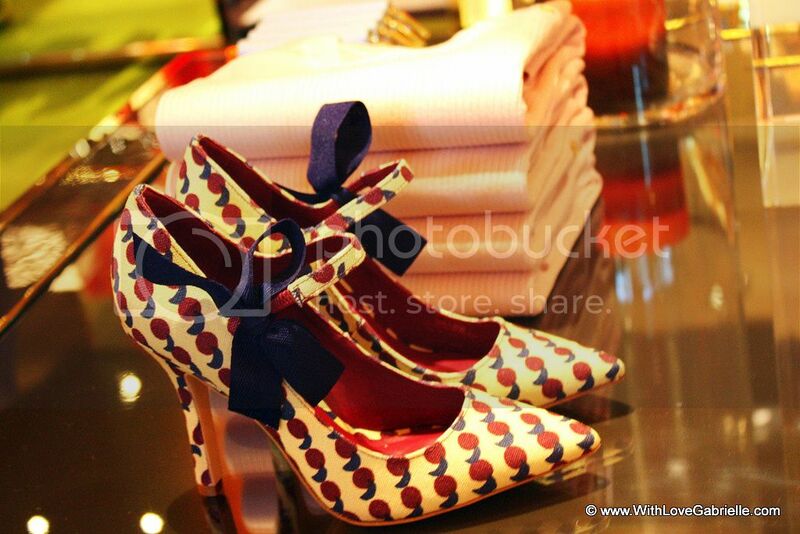 and Fashion Television channels, I rushed to the much anticipated Tory Burch opening of their first boutique in Canada. As a long time Tory Burch fan of her East coast meets West coast style of preppy yet relaxed looks, it is exciting to welcome yet another wonderful designer to Canada. 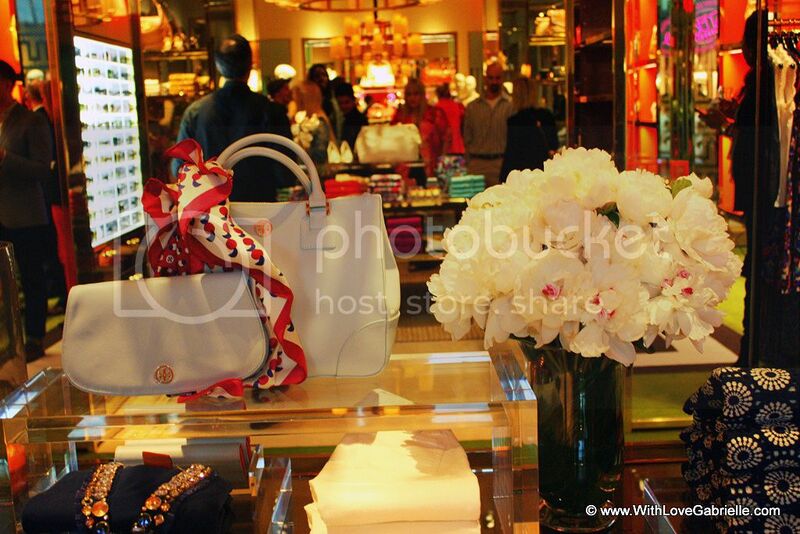 On May 4th, Tory Burch opened its iconic lacquered orange doors at Toronto's Yorkdale Shopping Centre. According to Tory Burch herself, "Our Yorkdale boutique has been in the works for a while, but we took our time finding the right space and were patient until it became available. We have always been drawn to Canada because of its incredible culture and people — the customer is savvy, stylish and loves fashion." The boutique itself without all the goodies in it, is a stunner. 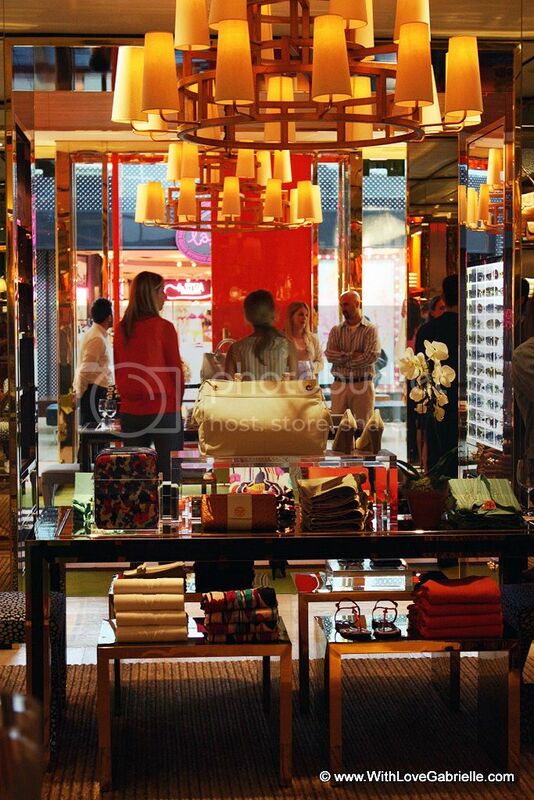 Featuring Burch's signatures such as brass chandeliers, green flooring and a brown and white stripe area rug; the boutique is a mix of traditional and modern elements. The ready-to-wear-room that features an entire luxury lifestyle line is upholstered in navy snow leopard and includes comfortable seating nooks with bookshelves and iPads where customers can get some down time from shopping. Seaform silk taffeta drapes welcome the visitor into the shoe salon and is my favorite part of the store. The salon is situated around teal velvet sofas and green lacquered tables, where the shoe shelves are highlighted by raffia walls. The atmosphere is relaxing and perfect for getting your footsies pampered by the many charming designs. Speaking of shoes, during the store opening my best-friend and I spent most of our time at the salon deciding on our footwear. As a surprise treat the guests received generous giftcards to spend that evening. As our choice of footwear, I walked out with the most adorable pair of Beverly pumps while Anna picked out a classic pair of beige Clines ballerinas.